Theoretical models of the conformational behavior of flexible polymer chains in mixed solvents enunciated in the world literature during the last decade are critically reviewed. Models describing different mechanisms of coil-to-globule transitions in a good solvent induced by cosolvent addition are highlighted. Special attention is given to the analysis of theoretical approaches to describing the collapse of polymer chains in binary mixtures of good solvents. 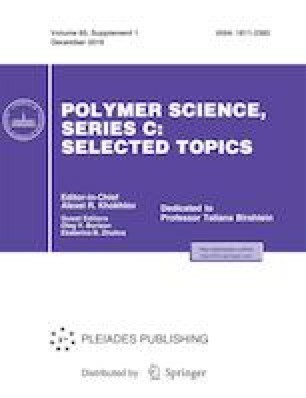 The review addresses researchers engaged in polymer physics and chemistry and materials scientists involved in the design of smart polymers. Original Russian Text © Yu.A. Budkov, A.L. Kolesnikov, 2018, published in Vysokomolekulyarnye Soedineniya, Seriya C, 2018, Vol. 60, No. 2, pp. 249–261.